This doesn't happen with other flags like Not an Answer of Low Quality as they don't have boxes. 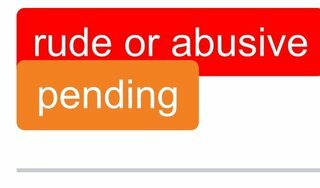 Only the Spam and Rude or Abusive have the red boxes and hence overlap. Using Safari on iPhone on iOS 12. Browse other questions tagged bug design flags mobile-web . Can we have an auto-flag for posts deleted as spam, rude or abusive?